Click here to view our most recent TRUST Newsletter, published June 2018. TRUST provides an exceptional educational experience to prepare students for future practice in underserved rural areas and underserved small cities of the WWAMI region. 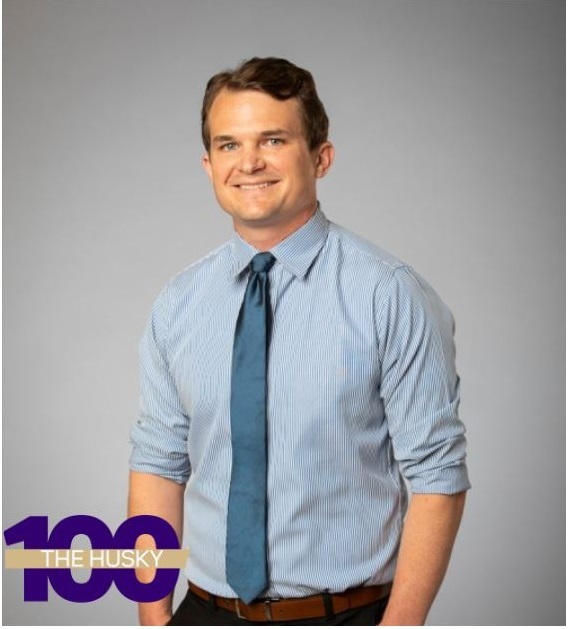 For the second year in a row, a TRUST Scholar has been named to the Husky 100! The Husky 100 recognizes 100 UW undergraduate and graduate students who are making the most of their time at the UW. The Targeted Rural Underserved Track (TRUST) seeks to provide a continuous connection between underserved communities, medical education, and health professionals in our region. Our initial goal is to create a full-circle pipeline by guiding qualified students through a special curriculum that connects underserved communities in Washington, Wyoming, Alaska, Montana, and Idaho (WWAMI) to the University of Washington School of Medicine (UWSOM) and its network of affiliated residency programs (Family Medicine, General Internal Medicine, including Boise Internal Medicine and Billings Internal Medicine, and Pediatrics) in an effort to help meet the workforce needs of the region. Justinn Lahaye (TRUST Scholar, Graduating Class of 2019) and her commitment to rural and underserved medicine. 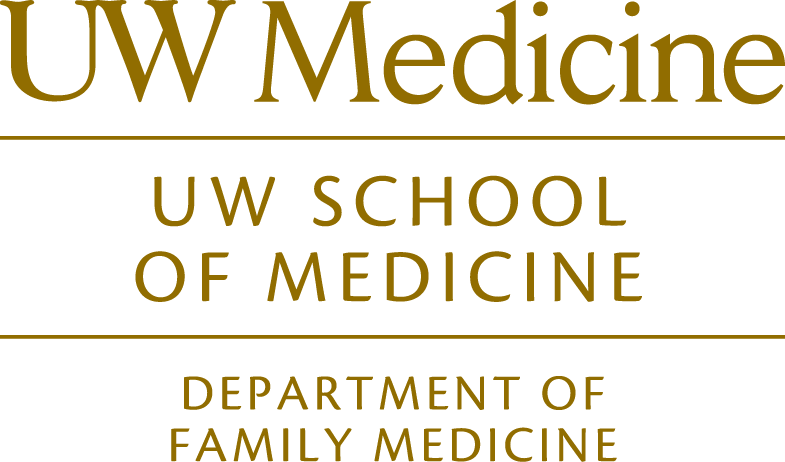 To train University of Washington WWAMI medical students for careers working in underserved rural areas and underserved small cities of Washington, Wyoming, Alaska, Montana, and Idaho. Targeted separate admissions process that links students from and back to underserved communities. 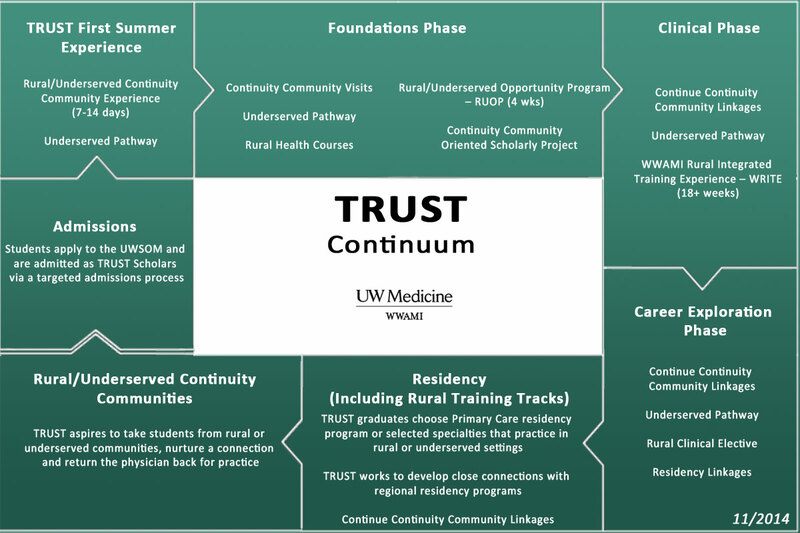 Links with existing UW courses and programs such as Underserved Pathway, RUOP and WRITE as a vital component of TRUST. Key clinical programs occur in continuity community. TRUST links Scholars with residency programs that have an underserved training focus. Links with communities to identify and promote their needs and resources for health workforce training.